Create this unique gift packaging with your Don Victor® Orange Blossom Comb Honey Globe Jar by cutting a crepe paper poinsettia. 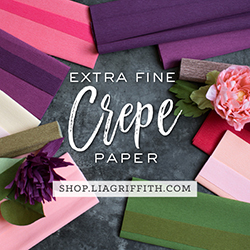 Learn all the tips and tricks I use to cut crepe paper with my Cricut. This post contains affiliate links. Thank you for your support. I first began by getting a membership to Lia Griffith. 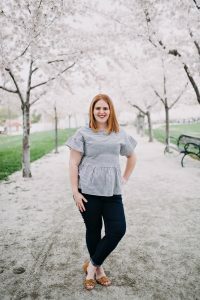 It’s worth it when you consider the printables and all the free .svg crepe paper flowers she offers you. Save the .svg to Design Space and then open the image onto your canvas. I first started with grabbing some The most important thing to remember is the grain of your paper and how that is loaded into the mat. Be mindful on how you want your petals to be shaped when cutting. For this project I had the grain going vertically. Even if you’re cutting you’re your crepe paper by hand, being midful of the grain is very important. Place your rotary blade into you’re Cricut Maker adaptive tool. It will go in side B. 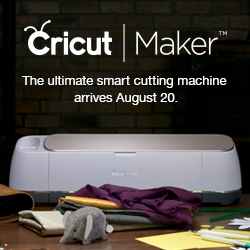 Load your mat into your Cricut Maker and select Go. When you remove your crepe paper, peel it slowly so that the grain doesn’t stretch. I used a flower template from Lia Griffith and uploaded it to my software. Glue each of the petals of the flowers to it’s coordinating size. I used hot glue for this but any glue will do. Next you’ll lay a bead of hot glue along the seam and place the floral stem wire. Do this to the large petals and the leaves. You can use floral tape to attach all the stems to each other but I have never been very good with it. Just glue all the stems together and then twist them with the leaves. Next, lay your smaller petals over the top of the larger petals. For the stamen, fold the cut piece in half and roll. Glue them together separately or all together. Cut off the excess floral wire and attach a piece of felt to the bottom. This is where you’ll glue it to the top of your Don Victor® Honey jars. Attach a gift tag and you’re set. Don Victor® Honey honeycomb can be served on a warm piece of toast, French toast or warm biscuits. You may have to mash it but once it warms up against your food, it’ll soften right up. Cutting crepe paper with your Cricut Maker is easier than you would expect. I’d love to see what project you’d make for your Don Victor® Orange Blossom Comb Honey Globe Jar. Be sure to follow Don Victor® Honey on Facebook and Pinterest for more great ideas.